Singing together is fun. It's my favorite. I figure if you aren't in church or grade school, you may not have the opportunity to sing in community. So, I started a bar choir. No commitment. No audition. No experience necessary. No performance. 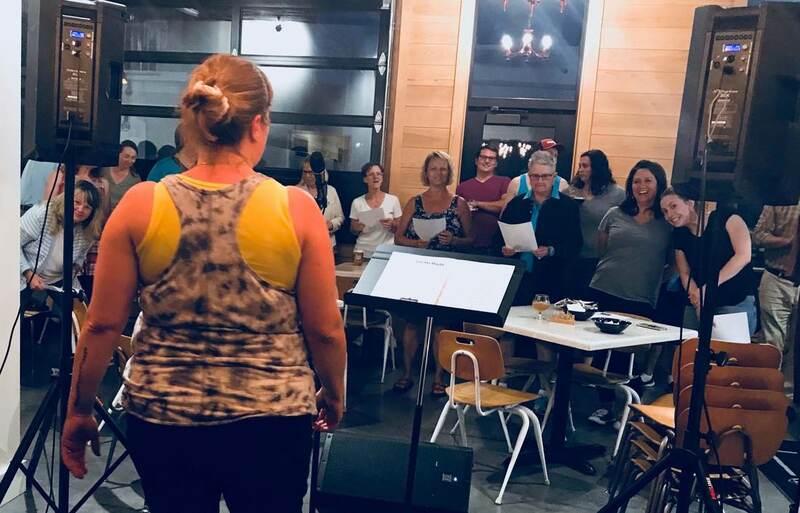 We just show up at First Street Brewing, have a few beers, and learn a pop song with three vocal parts. We sing it through until we know it, then we stand up, sing it one more time and then it's high-fives all around.